At Rosslyn Chapel there is much to admire and not all of it are straight forward religious subjects. There is a considerable amount of ‘fun stuff’ were the masons were allowed a great deal of latitude by William St Clair in their interpretations of a variety of subjects. Seton by comparison has much less in the way of decoration and the humorous elements are equally fewer in number. 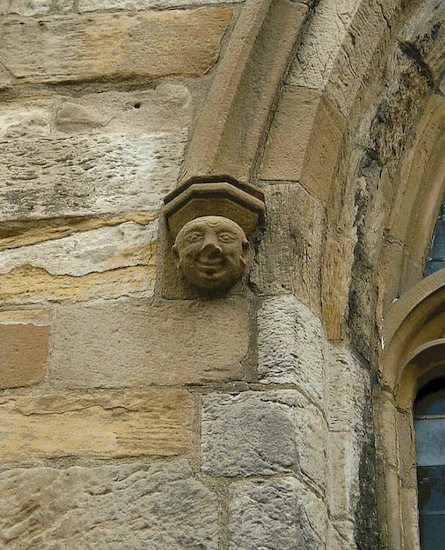 Here we have a jolly, smiling, face – one of the Prebendaries perhaps?